Taha Khan is a current IMU student graduating in April 2019. She is originally from Chennai, India and I was fortunate to sit down with her and discuss her experience at Dalhousie Medical School and her future career plans. Looking back, how was your transition from IMU to Dalhousie? Overall my transition was very smooth, and this was predominately because of the Link Program. When we first came here, we knew the system was very different in terms of how students enter medical school and the academic and life experiences that students in Canada have before entering medicine compared to us. For me, this was quite intimidating but after going through the Link program and entering classes in September I felt much more prepared and this was a really good feeling. Specifically, the clinical skills of the Link program were very helpful in preparing me. What were you most excited about coming to Dalhousie? Coming to Canada I was most excited about the winter! I had never seen snow before, so this was my first proper winter and I really enjoyed it. Apart from that, I was excited about transitioning to the North American system because of the clinical exposure you receive here. This is very different from the clinical experience you would get in the British or Australian system; the system here is more hands on and you are given much more responsibility which I have found to be true during clerkship. I have loved this! In your opinion, which areas of your educational program at Dalhousie were particularly strong? Overall, the program was very strong. Our hands-on skills were really emphasized throughout clerkship and I never felt like I was behind my classmates. We were supported through our gaps and if I didn’t know something or feel confident, I was always encouraged to go ahead and try it out. I remember my first call shift during clerkship I was terrified of being on call but throughout this experience I have gained more confidence and always felt very supported by the staff, nurses and residents. Can you talk about some of your other goals coming in the Clerkship Program, and whether you’ve been able to reach them? When I started clerkship, I found it hard to believe I would be a doctor in two years, and I didn’t think that would be enough time to prepare me for medicine. As I finish clerkship and as I have had the opportunity to visit teaching hospitals in the United States, I feel I am very well prepared even compared to their own students. This was reinforced by the physicians and staff in the U.S. who told me I was working like a first-year resident. I now feel more confident about my skills and my abilities. Aside from medicine, I have goals for my non-profit, Child Awareness Project, which I started when I was 15. We are predominately youth run and focus on children’s right issues and youth empowerment and advocacy. I want to incorporate my medical training into this and hopefully conduct health awareness camps and health initiatives for children in India. My medical training at Dalhousie has helped me get one step closer to this. I plan to pursue child neurology in my residency which will help to give me enough knowledge about child issues in India. Where are you currently going after graduating from Dalhousie? Initially I was planning to do residency in Newfoundland. However, with recent changes in how Newfoundland accepts residents, I decided to change my career plan. I decided to pursue a Master of Public Health at Harvard University in September which is really exciting for me. I have always been interested in public health as a field, particularly because of my not-for-profit and interest in children’s rights. As a result, I have always been interested in expanding my medical training into public policy and other areas where I can work to improve children’s rights. Additionally, I want to expand my expertise in statistics and the ability to critically analyze and examine various papers and studies and I feel that the public health degree will help me to do that. This is a one-year program and then I plan to apply for residency next year. After I finish residency I hope to work in the field and get more experience and then eventually go back to India to work with my non-for-profit. Can you share more about the Child Awareness Project? Child Awareness Project (CAP) is a Chennai-based NGO that grew out of a campaign, that I started, at the age of 15, to help find a 5 year-old who was kidnapped from Marina Beach in Chennai in May 2011. This campaign, Search for Thamana, drew immense media attention and was instrumental in tracing the child. This played a key role in increasing surveillance in public areas. For this work, I received the International Diana Award, in memory of the Late Princess of Wales and a Silver Medallion and the 2012 Pramerica Spirit of Community Awards. Our story was also shortlisted as one of the top 10 stories in India, as part of Our Better World’s Good Story Pitch, to be pitched to filmmakers in Mumbai. Most recently, CAP was just featured on the Queen’s Commonwealth Trust’s Inspiration Page. Today, CAP is a predominantly female, youth-led nonprofit, that advocates for children’s rights (from the UNCRC framework) and incorporates them with the relevant UN Sustainable Development Goals. Our main initiative in the Campus Ambassador Program, wherein we recruit students across India to conduct various pre-designed workshops in their own schools. We employ means of advocacy both online and on-the-ground. For about 6 months to a year, we select an issue affecting children and formulate a focused campaign. Our first major campaign tackled the issue of Child Abduction & Trafficking. Our upcoming campaign will explore Bullying. In addition to this, we run independent projects across India, such as the Soft Skills project and collaborate with UN Online Volunteers for research and publications. For more information, please visit our website. As our team is placed globally, we are constantly looking for young people passionate about children’s rights, around the world to join our team. Interested applicants can send us a CV and letter of interest at info@thecapro.org. They can also visit http://thecapro.org/careers to learn more. Located in an office on Cunard Street in Halifax, NS, the Schizophrenia Society of Nova Scotia (SSNS) helps a community that is often under-served. Since its establishment, the Schizophrenia Society has been a resource for those living with mental illness, including friends and family members. To answer this question and gain a first-hand perspective on the work the SSNS does, I interviewed Ian Burton. Ian took the time to sit down with me and tell his story, including the role that the SSNS has played in his recovery journey. Sitting across from Ian now, one would not think that this is a man who has lived through difficult times in which he did not know where he would be able to find shelter for the night. His happy demeanour, friendly smile, and positive attitude towards life serve as a testament to his resilience. Ian’s journey began in the early 2000s when he was first hospitalized for psychosis. 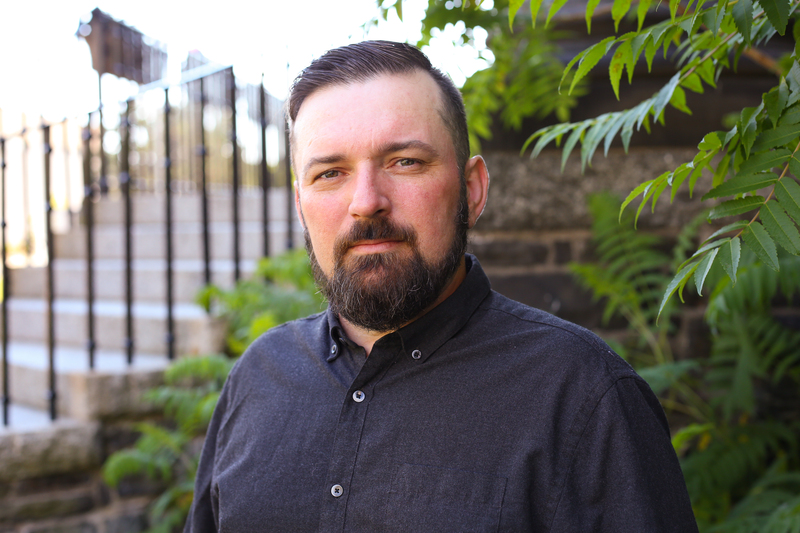 After a number of hospitalizations, Ian found himself living on the streets of Halifax. Eventually, he spent a year at Simpson Landing transitional living facility in Dartmouth before being discharged to live independently in the community. Early on in the course of his illness, Ian’s family encouraged him to utilize the SSNS services in his hometown of Wolfville. Ian was reluctant to do so at the time, which he attributes to his young age and frustration with the healthcare system. Little did he know at the time that the SSNS’s Supportive Housing Program would be the means by which he would transition to independent living. The Supportive Housing Program offers support to people with lived experience in recovery. Ian lives with roommates who are also in recovery, which allows residents to support one another through weekly house meetings, training opportunities, and access to other SSNS programs. For example, the SSNS hosts a weekly peer led education and support group, a family education support group, and one to one peer support to assist individuals upon discharge from the hospital. Over the past five years in the supportive housing program, Ian has spent his time volunteering, obtaining employment, and working with his healthcare team to optimize his medication regimen. When he is not at work, Ian spends his time playing guitar, watching Netflix, and participating in outings organized through the SSNS. Unfortunately, obtaining funding as a non-for-profit organization is challenging. This challenge is augmented by the societal stigma surrounding mental illness, in addition to the lack of services available in rural regions throughout the province. The SSNS has a network of education and support groups for those affected by schizophrenia, psychosis, bipolar and related mental health disorders. These groups are led by dedicated volunteers, and the Schizophrenia Society hopes to make their services more readily available in other regions. 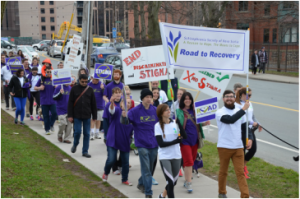 The SSNS has yearly fundraising initiatives, such as the annual Road to Recovery Walk, which directly supports their programs and services. Their annual “Living and Learning” conference hosts inspiring speakers working in the field and engages mental healthcare clinicians, community organizations, and people with lived experience. 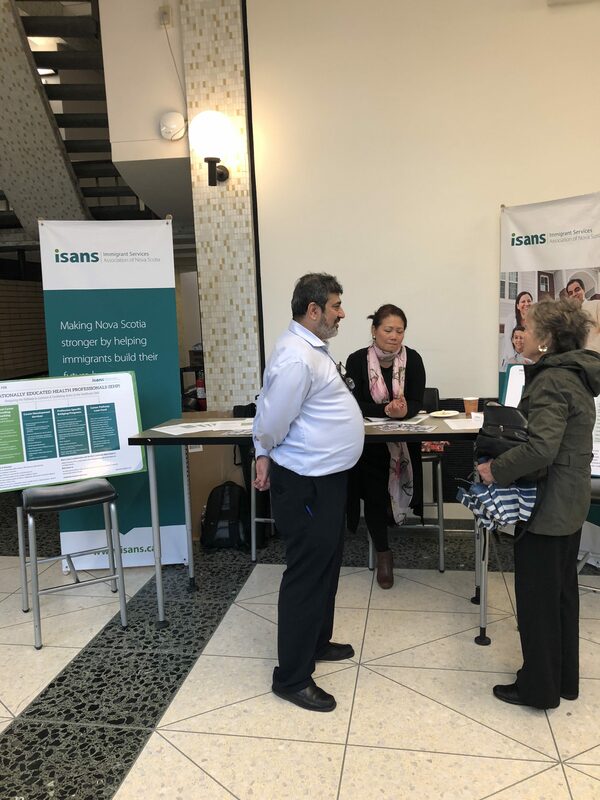 Through these fundraising and education initiatives, the SSNS is able to support more people like Ian in their progression to independent living and integration within the community. Moreover, serving as a testament that with the support of services like the SSNS, the community, and healthcare professionals, recovery is possible. For more information on the Service Learning Program, click here. While there is a high demand for training and learning about community-based research, there are few formal, structured training opportunities. 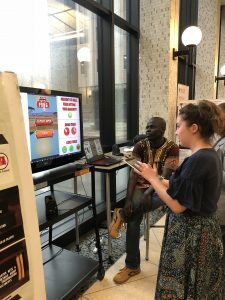 Established in 2008, MicroResearch aims to add capacity to global community-based research by empowering communities to address their own unique health issues. MicroResearch ensures small research projects will have a real impact on health. The training develops a local culture of inquiry while identifying and solving health problems. Collaborations are with institutions in Uganda, Kenya and Tanzania as well as new partnerships in Nova Scotia. MicroResearch offers a two-week workshop with interdisciplinary trainees and local teachers who collaborate as instructors, coaches and mentors. After the workshop, teams continue to refine their research proposal with their local and international coaches. Proposals are submitted for review and upon approval, the teams begin their research. While I have been involved with MicroResearch in various capacities and locations over the last eight years, this was my first trip to the birthplace of this program. 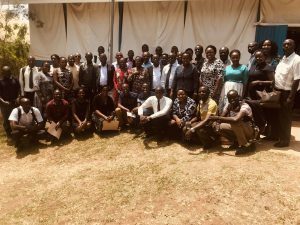 In January 2019, I ventured to Mbarara, Uganda with Dr. Noni MacDonald to deliver the two-week training program to 30 eager emerging researchers. During my time in Mbarara, I was honoured to work with experienced researchers and dedicated learners. 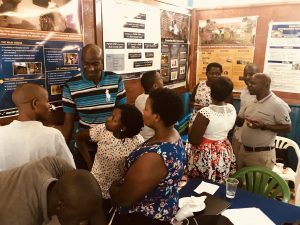 I spent time with two individuals and documented some of our discussions capturing their passion for locally driven research and the importance of training and capacity building. 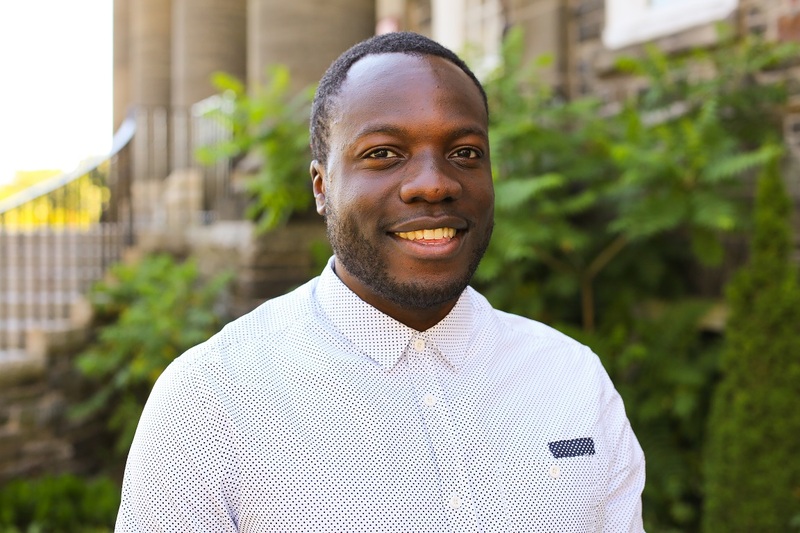 Robert is trained as a registered psychiatric nurse and clinical officer. Through his work, he recognized the importance of mental health and completed additional degrees in counselling and clinical psychology. His educational knowledge is evident as we talked about his current role within the Ugandan Prison System. He is in charge of mental health programming for the only maximum prison (Luzira) in Uganda. While this prison has a capacity for 1700 inmates, there are currently 4000 men and women housed here. There are visiting psychiatrists who are contracted to guide mental health treatment but much of this work is left to Robert and his team to assess, implement and evaluate. With such a large clinical case load, his passion for research and evidence-based practice guided his commitment to be part of the MicroResearch training in Mbarara in January and February 2019. He continues to explain that research was not part of education and grew to have doubts about his role in research. Robert has always believed that the community is the starting point for any part of change. Shaping the research questions with the community from the beginning will result in relevant research on local health problems. The second part of community engagement is returning to the community with results as part of the feedback loop. These steps are essential to successful research and addressing health disparities. He credits MicroResearch for giving him the tools to integrate knowledge translation into his work. 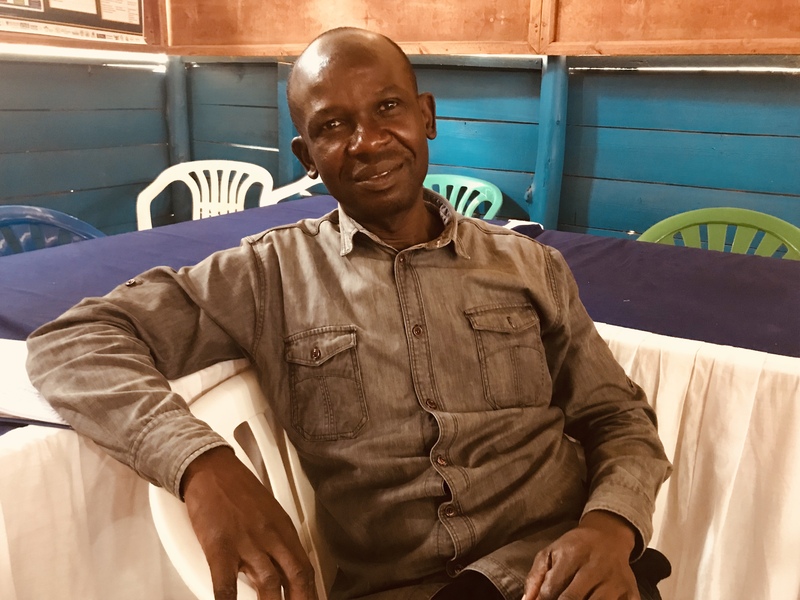 Through this training, he expresses a sense of hope, direction and a future that includes an active role in research to guide his work supporting inmates with mental illness within Uganda’s criminal justice system. Beatrice is enthusiastic, committed, and driven to understand research as it applies to communities and health. Her eagerness to learn is contagious making her a perfect fit as a new faculty member within the MicroResearch program in Mbarara. 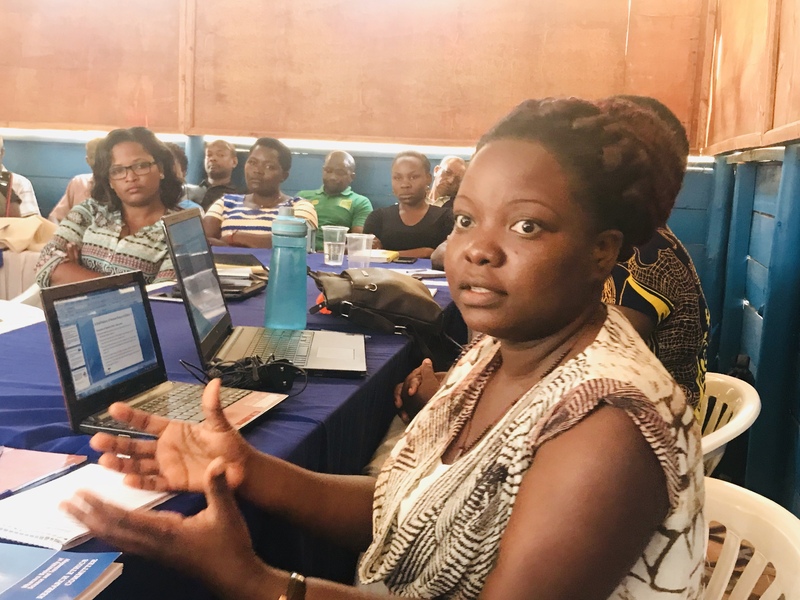 In 2018, she participated in the MicroResearch training and was part of a team that explored prevalence of self-prescribed medication in postnatal mothers. She was the leader of her team and speaks passionately about the development of the proposal. 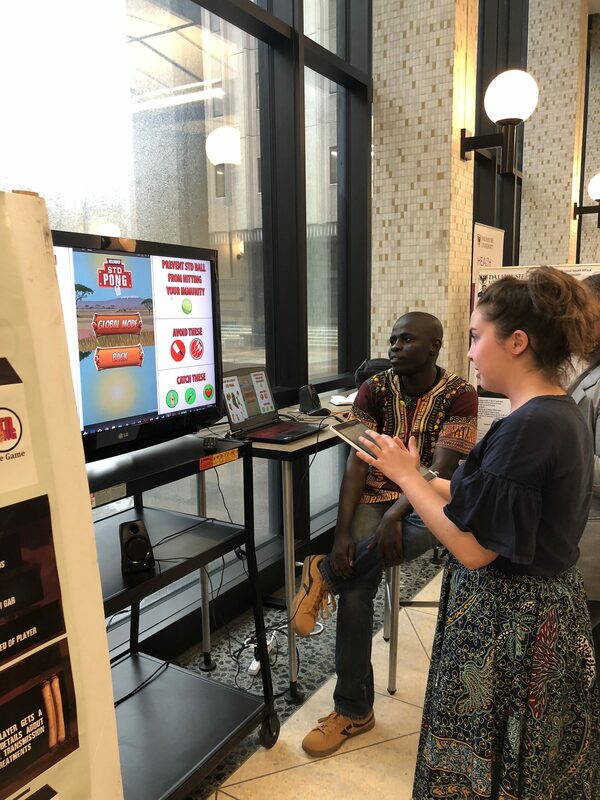 At the time, she was completing her Bachelor in Public Health and she credits MicroResearch as strengthening her research skills for her university training which resulted in her receiving the highest scores. A year later, Beatrice is teaching in the program and a coach for one of the teams. She is driven to improve her teaching and research skills as she seeks feedback from her peers and students. She acknowledges her strengths and identifies areas for further work as she continues in this journey. Self-reflection and continuous quality improvement are key to a successful health and research career. Beatrice references MicroResearch as a “knowledge reduction process.” She explains that individuals join the program with their unique lens, focus and specific knowledge. As they begin to work in teams, they start to learn from other professions and recognize that their approach to the problem is only one part of understanding the complexity of the issues. They must begin to reduce their commitment to their unique discipline and begin collaborating across professions. They begin to conceptualize the problem with the team. We also discuss the results of research and we recognize that it is not uncommon to see results shared in international journals with high impact factors and community members do not benefit. MicroReseach is a tool to guide community needs with findings that can be translated into policy. It looks for solutions to local problems. Beatrice is passionate about the voice of community in the research process. Beatrice is a registered nurse who works in intensive care at the regional referral hospital. She plans to start a Masters in Public Health. 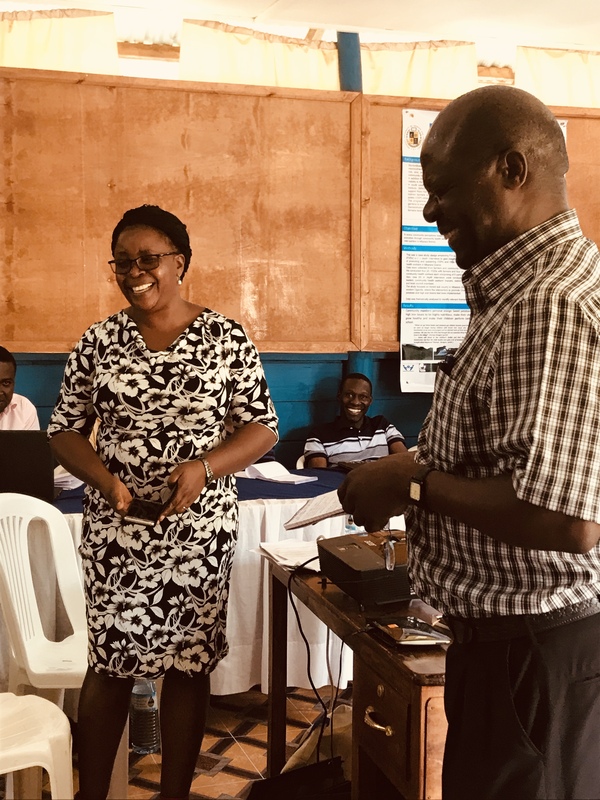 The MicroResearch community is fortunate to have a new faculty member with a foundation in community driven research who is committed to working in collaborative teams to address health inequities in Uganda. To learn more about MicroResearch please visit the National MicroResearch website or the MicroResearch Nova Scotia website. A Qualitative Health Researcher’s Dream! I had the opportunity to attend the 24th Qualitative Health Research (QHR) Conference from Oct. 25-29th, 2018, which was held at the Westin Hotel in Halifax. The pre-conference was filled with very intriguing and practical workshops on data analysis, qualitative interviewing and tips for dissertation writing among others. The workshops were engaging and the content was presented in a meaningful way by very knowledgeable and qualified researchers. The pre-conference also offered an opportunity to networking with other attendees. 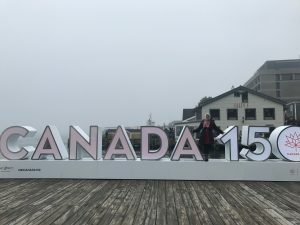 I was able to connect with so many scholars from around the world since the conference was heavily attended by researchers from Australia, the United States, Europe, Brazil and across Canada. One of the more memorable and unexpected connections that I made was with the Dean of the School of Nursing at Muhimbili University of Health and Allied Sciences (MUHAS), Dr. Edith Tarimo, whom I first met while working as a research assistant in Dar es Salaam, Tanzania in 2016 as a Queen Elizabeth II Diamond Jubilee Scholar (QES). Such a small world!! 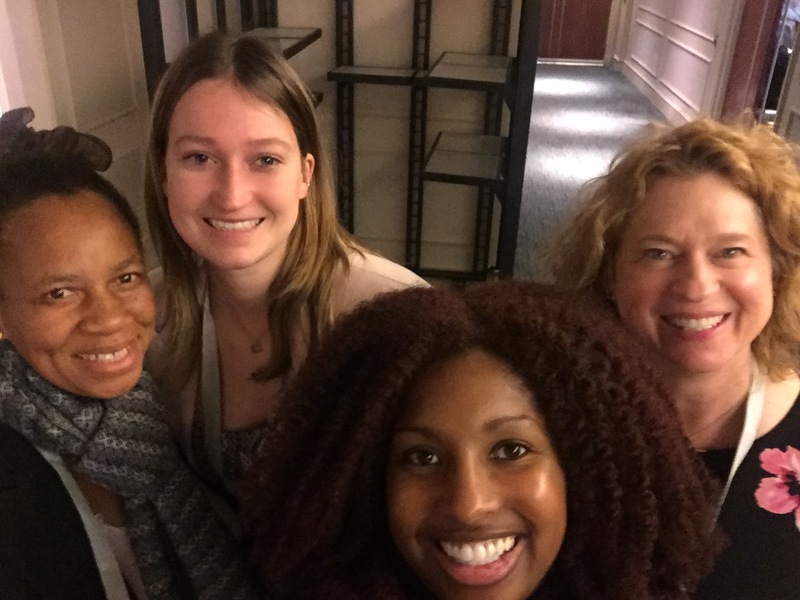 Left to right: Dr. Edith Tarimo from MUHAS (Tanzania), Emma (Dalhousie Masters Nursing Student), Dr. Megan Aston (Dalhousie Nursing), and Keisha Jefferies at the 24th Qualitative Health Research Conference. As a presenter at QHR, I was stretched and challenged regarding my own work and beliefs, in a very collegial way, which was fantastic! I was challenged to defend my selected methodology, show how concepts are connected and share how my theoretical framework would consist of a blending of two critical theories. Additionally, I attended many interesting presentations on topics related to Realist Evaluation, Intersectionality and Health Policy as well as a literature synthesis on Female Genital Cutting (FGC). 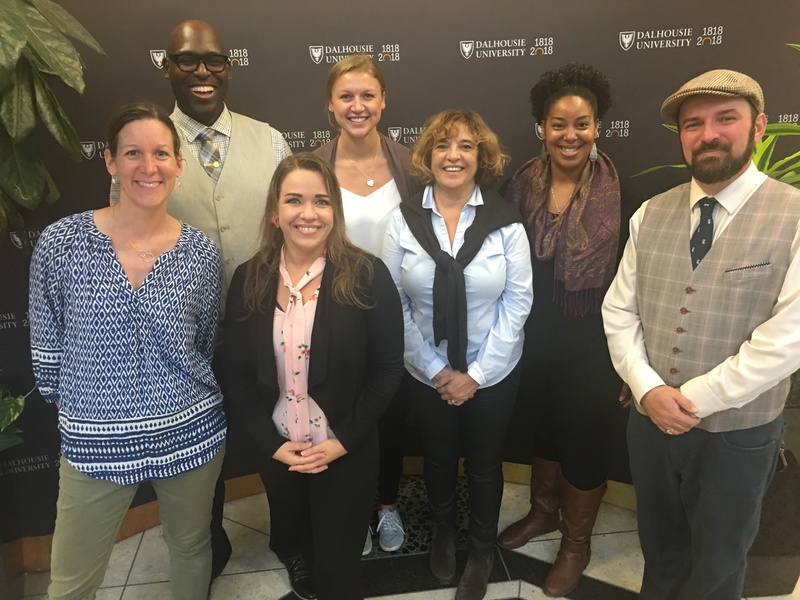 Building on my interests in critical analysis, I was able to establish some valuable connections with faculty and graduate students. I was also able to coordinate a group discussion session on critical discourse analysis with PhD students from across Canada who were using or interested in using this theory in their research. Overall the conference was by far one of the most stimulating, enjoyable and beneficial conferences that I have attended. While there was a lot of similar interests and sharing occurring, I did encounter some very interesting and somewhat concerning perspectives as well. Firstly, a special thank you to the conference for accepting my abstract and allowing me to present a poster on my PhD proposal [leadership experiences of African Nova Scotian nurses] as well as being inclusive and providing opportunities for other researchers to share work involving marginalized groups. Secondly, I must acknowledge and show my support for Dr. Merlinda Weinberg, who presented an unapologetic presentation on the racist encounters that racialized health workers experience across Canada. Dr. Weinberg described the very real racism that is still present in society today. Her presentation evoked a rather interesting discussion around race, racism and privilege. It was slightly surprising to hear some of the comments from esteemed Nursing faculty from other parts of Canada and the assumptions and accusations put forward as fact. The environment was a great opportunity to share information and discuss the various realities of racism yet, the conversation that was initiated during the discussion period and restarted during lunch did leave me concerned about who are the individuals “sitting at the table” and making decisions about the health care needs and services for racialized groups. However, these insights simply add to my motivation to see more representation in nursing leadership and health care overall. I experienced a lot of growth as a student and novice researcher by attending the QHR conference. I now have a better understanding and appreciation for qualitative research. Moreover, I am more grounded in my own philosophical and sociopolitical location as a nurse, PhD student and Black feminist. This conference really helped to solidify that. It was also so stimulating and energizing to share a space with some like-minded individuals. The QHR conference is definitely a conference that I will attend and present at again in the future. In partnership with the Johnson Scholarship Foundation, the Global Health Office offers conference bursaries for students in the faculties of Health, Medicine and Dentistry to attend extracurricular programming such as conferences as part of their professional development. To find out more information about these bursaries please click here. 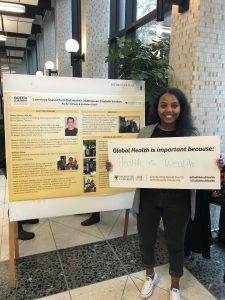 With a new school year now well underway, the Global Health Office has been busy with its various programs and events. Many new faces have joined our team over the past few months, and it is time to introduce the office staff and the programs they manage. Said Msabaha is the program manager of the international education experiences offered through the Global Health Office. These include course electives, internships, clinical placements, and research placements for students in the faculties of Medicine, Health and Dentistry at Dalhousie. 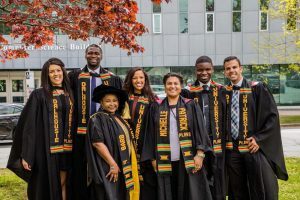 The Global Health Office has a comprehensive list of strong partner institutions, which seeks to offer students with a unique opportunity to experience first-hand how the social determinants of health play a key role in patient health particularly in under-served or resource-constrained populations. Said is also acting director of the office until January 2019, while Shawna O’Hearn pursues her PhD in Ontario. Hala Nader is the program assistant for International Education. 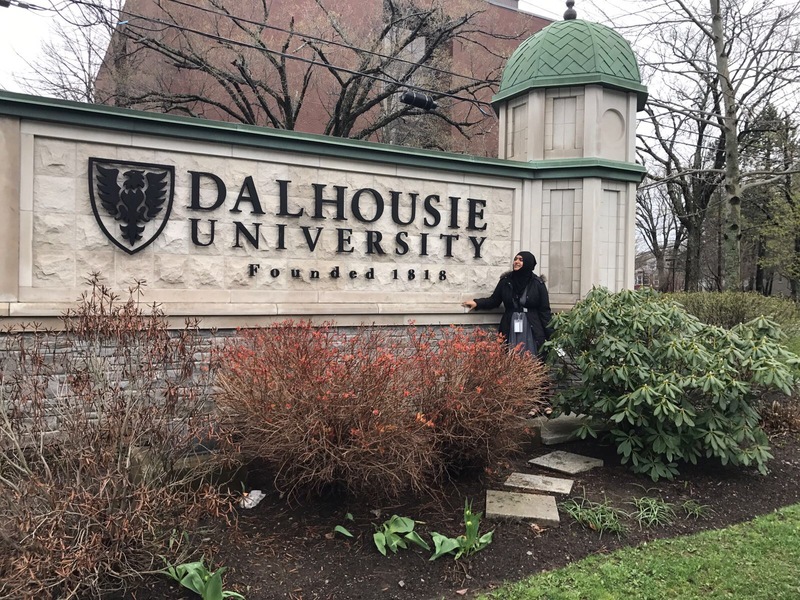 Hala is in her first year of the Master of Public Administration program at Dalhousie. To learn more about opportunities for students please visit the global health education section of our website. 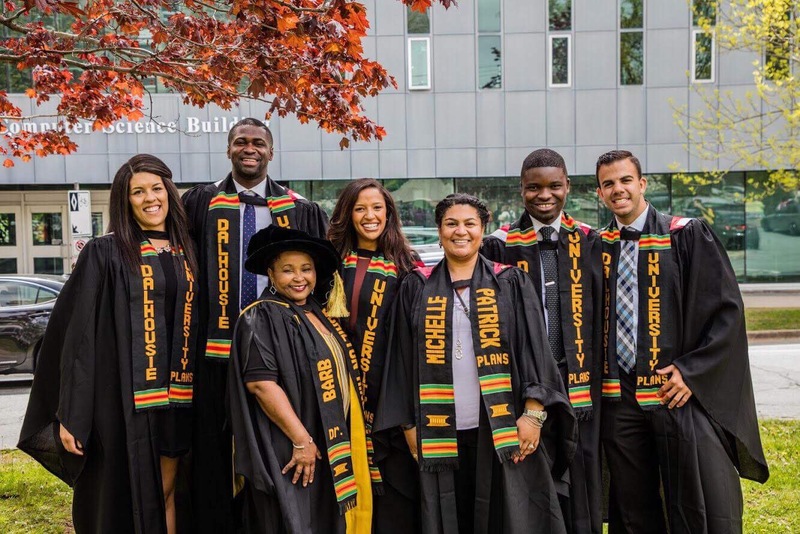 To learn more about Dalhousie’s partner institutions please visit the locations page on our website. Students in the faculties of Health, Dentistry and Medicine are invited to an info session to learn more about global health education opportunities on Nov 7th. The info session will discuss practicum placements, institutes, internships and clinical elective opportunities. The session will be held in Tupper 2L7 (DMNB: Room 218) from 5:30 – 6:30 pm. 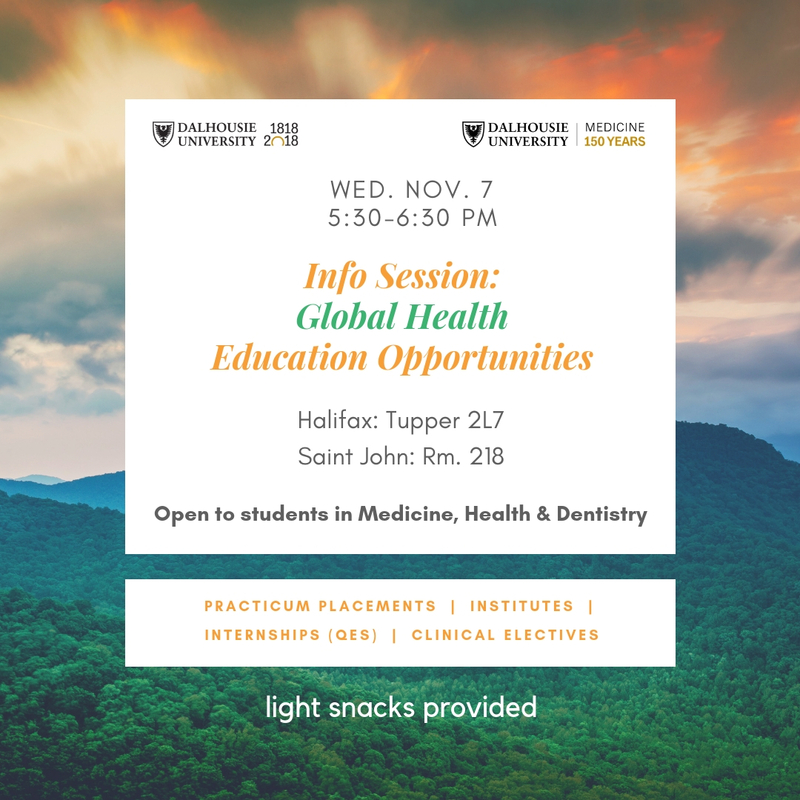 Students are encouraged to RSVP to gho@dal.ca by November 1st. Michele Pignol is the program coordinator of international recruitment. She coordinates initiatives to recruit and retain international students to Dalhousie’s Medical School. The Global Health Office maintains collaborative agreements to build strong educational capacity for International students and contribute to improving healthcare needs worldwide. Students have the opportunity to learn in a safe, positive environment with one on one support from the team while graduating from an accredited Canadian Medical program. Jen LeBlanc is the Program Coordinator of Outreach at the Global Health Office. Jen manages the communication and social media networks of the office. She also coordinates the global health awards, the annual photo contest, the bi-weekly bulletin and blog, speakers, Global Health Day, and other collaborative events. 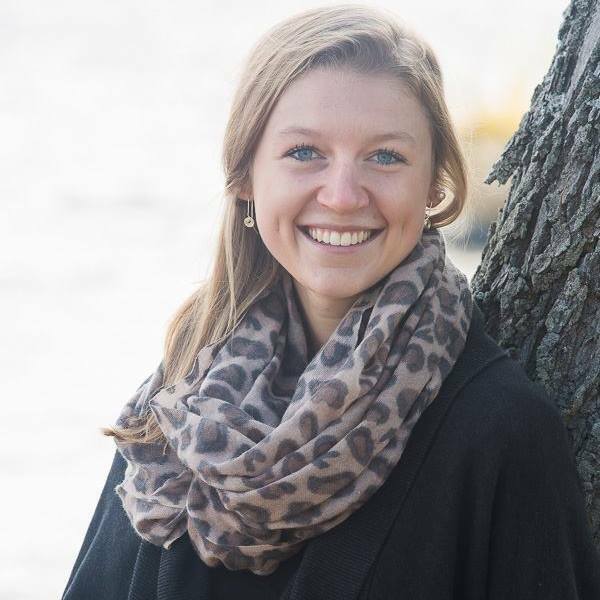 Madeline Kubiseski is the Outreach program assistant and is a student in the Master of Health Administration program. To learn more about our outreach please visit the News & Events page on our website. 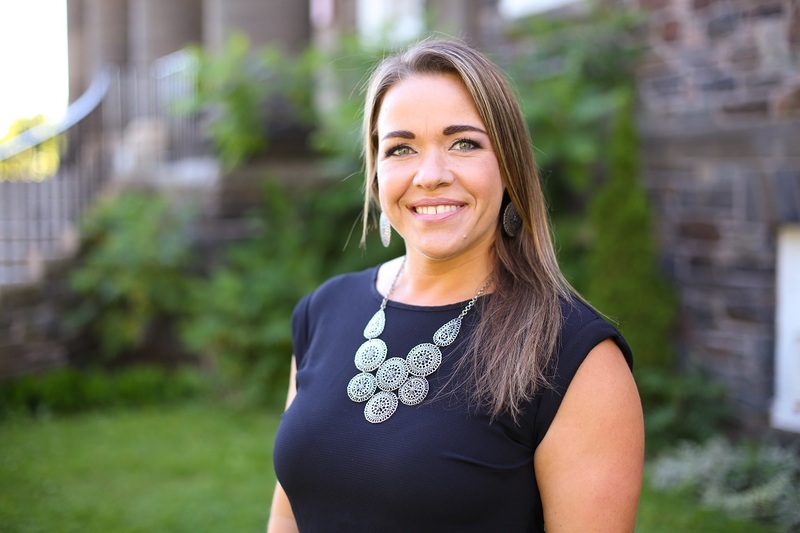 Madeline is completing her Masters of Health Administration at Dalhousie University; she is also the outreach coordinator in the Global Health Office. We are thrilled to share how Madeline spent her summer and we are very excited to welcome her back to the office this fall. “What about the Canadian Patient Safety Institute?” My professor said as I sat in his office and pondered where to complete my summer residency placement. 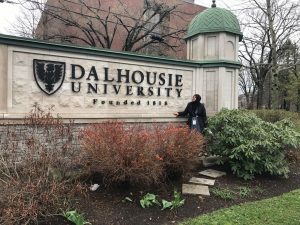 It was the beginning of October, and I was only one month into the Master of Health Administration (MHA) program at Dalhousie University, already having to decide where I would do my residency 8 months down the road. It was a tough decision as I was still adjusting to living in a new city and beginning the MHA program after spending the summer abroad. I was having a difficult time identifying what it was that I wanted out of this degree and specifically the residency experience. Admittedly, I told my professor I had never heard of CPSI, but I was certainly intrigued. Up to this point, I had plenty of experience working and volunteering in the healthcare system. I spent the summer months during my undergraduate career working as an administrative assistant in a family clinic, working as a pharmacy assistant at Rexall, volunteering at the local hospice and hospital, and I was fortunate to grow up in a household with a family doctor. My combined passion for travel and healthcare took me to Kenya when I was 17 with suitcases of medical supplies for a clinic in Nairobi and I recently spent 3 months in Nepal working to implement a mobile health post in rural communities. However, through all these experiences I had never been introduced to the field of patient safety and the implications it has on our healthcare system. Looking back, patient safety inadvertently crossed my mind while lying in a hospital bed in Nepal, after being admitted for gastro symptoms. I was in a ward with many local Nepali women, all surrounded by loved ones in their beautiful coloured clothing. With a higher than usual prevalence of tuberculosis in Nepal, it was then that I noticed the hospital did not have any isolation rooms that I was used to seeing in Canada. There were no barriers or protective equipment, no infection control, and I could not read the information on the medication I was taking. I suddenly began to worry that I may leave the hospital more unwell than when I entered. As I lay there for 48 hours with no TV or cellphone, and only one book that I had already finished, I began to think about the harm, both preventable and non-preventable, that could come from a visit to any healthcare institution. I began to wonder what would happen if I became sick with an infectious disease or if I received medication I wasn’t meant to have. I began to wonder about these situations in Canada and more developed countries around the world. As I did my research on patient safety and CPSI in early October, I couldn’t help but reflect on these 48 hours in the hospital. I quickly realized that the fear I experienced in the hospital in remote Nepal was happening within our own country. I scrolled through the long list of topics on the CPSI website within the four categories of medication safety, infection control, teamwork and communication, and surgical safety. I read through the alarming statistics of patient safety incidents in Canada, the cost to the healthcare system, and the strikingly high mortality rate. While I had certainly come to understand through my years of work, educational and volunteer experiences that the Canadian system needs improvement in various areas, I was not aware of the severity and prevalence of patient safety incidents in Canada. I was shocked but immediately motivated and inspired to inform myself about the issue and pursue a placement with CPSI. From the beginning of my undergraduate degree and possibly earlier I always knew I wanted a career in the healthcare system. I admired my mother for her hard work, commitment to her career, and passion for helping to improve the health and lives of others. For many years I struggled to understand what I could do in the healthcare system without entering a clinical field such as nursing or medicine. However, my journey in the MHA program along with the opportunities I’ve had with CPSI have provided me with a clearer understanding of the important work that needs to be done at local, provincial, national and international levels to improve the quality, safety, and accessibility of healthcare. As I prepare to begin my second year of the MHA program, I am continuously thinking about what is on the horizon for me and the impact I hope to have on the system. I look forward to career opportunities where I can work collaboratively with healthcare providers, leaders, patients and families across the country to reduce inefficiencies in the system, improve the quality of care, reduce patient safety incidents, and improve the accessibility and affordability of care, especially for marginalized populations in Canada. Additionally, I am interested in pursing patient safety on a global scale to enhance the understanding and research available about the issue in underdeveloped and transitional countries. I am excited to pursue post-graduate internship opportunities with the World Health Organization to gain experience within their departments of patient safety, health system governance and financing, and health system service delivery and safety. As we continue to move the dial on patient safety in Canada, I hope we can take what we know and the basic principles to improve healthcare systems in various developing and transitional countries. I am hopeful that this will contribute to a future where healthcare is affordable, accessible, equitable, effective and safe for all. To learn more about the Canadian Patient Safety Institute. Dr. Justin Pyne is a recent graduate of Dalhousie Medicine (Class of 2018). Dr. Pyne is headed to residency in Edmonton at the University of Alberta for head and neck surgery. Justin attended a conference that helped him to connect with future colleagues and mentors in his specialty. We wish Dr. Pyne all the best in his new adventures! As a third year student at Dalhousie Medical school, I have been lucky enough to gain a great deal of research exposure through elective experiences. One extension of our curriculum requires us to complete a research project through the Research in Medicine – or “RIM” – program, with the goal of having your work published before our four years of training are over. My project lead me to join some of Canada’s best and brightest Otolaryngology – Head and Neck Surgeons, as well as several international guest speakers, at the Canadian Society of Otolaryngology – Head and Neck Surgery (ENT) annual conference this year in Saskatoon, Saskatchewan this past June. After it being accepted to the Journal of Otolaryngology, I was selected to present my RIM project under Dr. Manohar Bance at the conference as a podium talk. The paper, entitled “Transmission of a Novel Sonotubometry Acoustic Click Stimulus in Patulous and Healthy Eustachian Tube Subjects,” documents a newly developed stimulus which is effective for identifying patulous Eustachian tube, a debilitating condition for those affected by the disease. Despite being quite new to the research field, and having not given a talk in many years, I was able to suppress my nervousness and speak to several great leaders in the field. Currently, we are in the process of patenting this technology for implementation in the clinical setting. Moving forward, keep an eye out if you find yourself in an ENT clinic – you just might see a Dalhousie engineered device in the years to come. Keisha Jefferies is currently completing her PhD at Dalhousie. 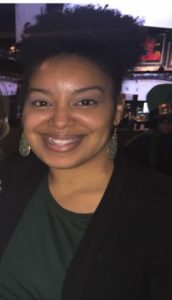 She is an advocate for health equity with a particular focus on the African Nova Scotian experience. Keisha is a Queen Elizabeth II Diamond Jubilee Scholar having spent time doing research in Tanzania as well as the 2016 recipient of the Dr. Ron Stewart Award for Student Leadership in Global Health. She will also be presenting at Global Health Day on Sept. 26 as part of the poster displays in the Tupper Medical Building Link. Read more about Keisha’s recent experience at the PEGASUS Conference here. 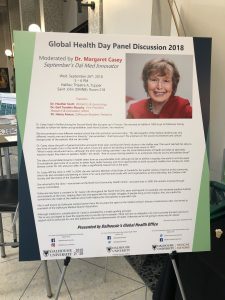 On April 27-29th, 2018 I had the opportunity to attend the PEGASUS Peace, Global Health and Sustainability Conference at the University of Toronto. 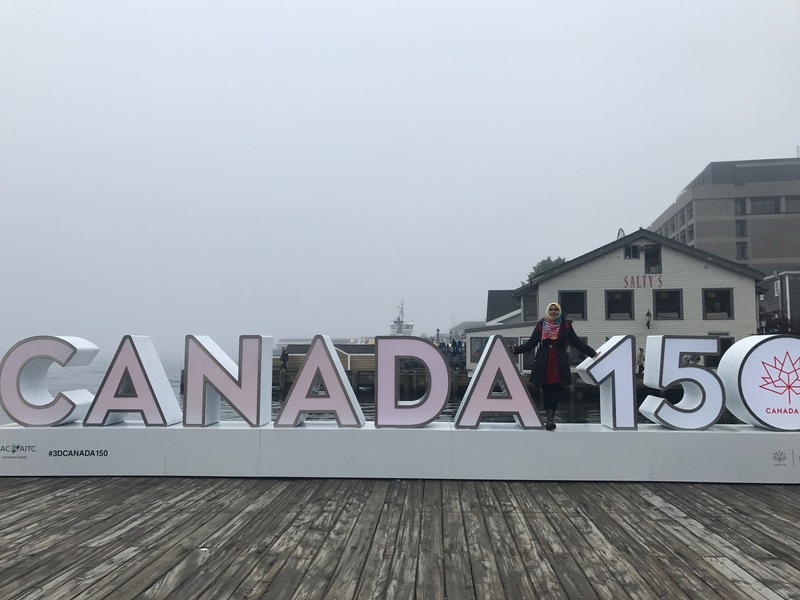 The theme of the conference this year was “From Evidence to Action” and it was attended by clinicians, academics, graduate students and key stakeholders from across Canada as well as internationally. The PEGASUS Conference was on my radar for a few years after first discovering it in 2015 while attending the Canadian Conference for Global Health in Montreal. I was unable to attend in 2016 however, I am thankful that I was able to not only receive a conference bursary through the Johnson Scholarship Foundation in order to attend the conference but also that the abstract for my thesis proposal was accepted for a poster presentation. It was a very exciting and beneficial experience to present my intended work on the Leadership Experiences of African Nova Scotian Nurses to a new audience. 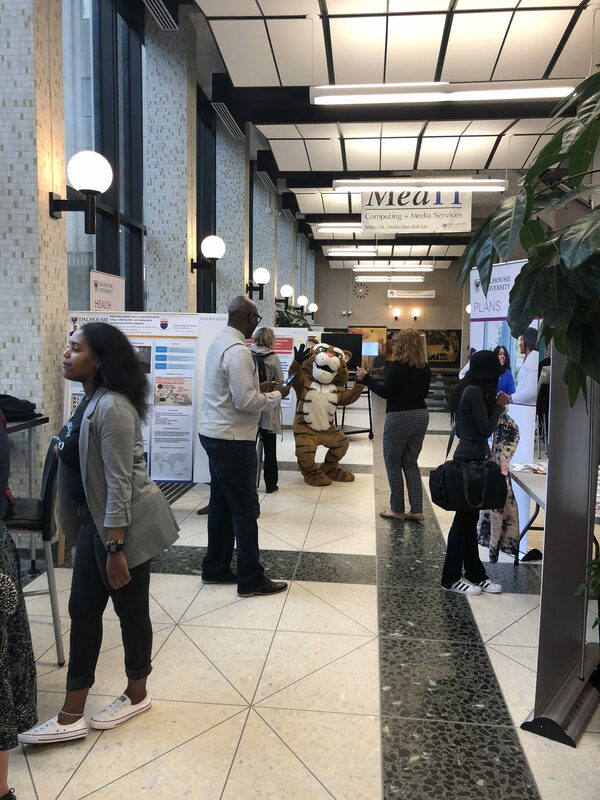 My poster was well received and I was able to establish several great connections with attendees. Over the 3 days, I was able to enjoy and participate in very stimulating and timely workshops and presentations related to various aspects of local and international global health as well as peace and sustainability. I am really impressed with the caliber of work being done by clinicians, students and faculty across Canada as well as in Toronto. Many of the presenters shared powerful messages and stories related to vulnerable group in Canada such as immigrants and refugees and their struggles to attain and navigate the Canadian healthcare system. Another important message that was threaded through several of the keynote presentations and session presentations was the innate biases ingrained in policy and the need to examine, deconstruct and rebuild more inclusive, appropriate policies. I was able to capture a few great moments during the conference and these can be found on my Twitter page @KeishaJeff56. I would like to acknowledge the Johnson Scholarship Foundation, the Dalhousie Global Health Office and School of Nursing as well as my PhD thesis supervisors (Dr. Megan Aston and Dr. Gail Tomblin Murphy) for providing funding to travel, offering guidance throughout my studies and enabling me to be actively involved in local and international global health initiatives. To learn more about the Global Health Office’s Diversity programs.